As people assess the needs of their homes, they’ll often come across new products and services they were previously unaware of. ERVs are a good example of this, with the systems being highly useful but the general public’s knowledge of them being limited. Let’s examine what an ERV is, how it functions, all of its vital benefits, and why UltimateAir stands out as the premier choice for house ventilation options. ERV stands for energy recovery ventilator, with common name variations including ERV air exchangers and ERV ventilation systems. But just what is an energy recovery ventilator? ERVs are systems designed to be connected to the ducts that are part of your HVAC system. By way of two fans, ERVs draw clean, fresh air into a home or office and remove stale air. UltimateAir’s systems feature a patented heat exchanger which facilitates the transference of heat and moisture between the air streams. This way, your home will retain its heat during the process, something particularly significant during the winter months. Along with this transfer of air streams, ERV ventilation systems capture contaminants, pollutants, allergens, pollen, and more, helping to ensure that the air that enters and is kept within your home or office is clean and healthy. Shockingly, air quality inside most homes is at least five times more contaminated than the air found outside. This is particularly distressing since we spend upwards of 90% of our time within our homes and other indoor spaces. Choosing to incorporate an ERV air exchanger into your home or small business can help you change this, as you’ll receive the fresh, clean air you desire all day, every day. To ensure that you can discover all the advantages of our efficient systems, be sure to visit our products page to get a look at the house ventilation options we provide. You can also head over to our accessories page to view ducting kits, ventilation timers, ceiling mount kits, occupancy sensors, and more! Further product information can be found on our installation and warranty pages. 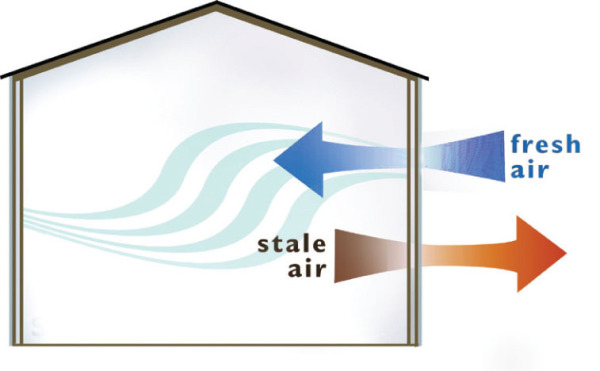 UltimateAir ventilation brings fresh air into your home without losing heating or cooling energy. Fresh air is essential for healthy homes and families and it’s something we’re proud to provide for our customers. Since 1989, UltimateAir has made the most energy-efficient whole-house fresh air and filtration products. Our ERV fresh air exchange systems are designed to continuously exchange the stale air in your home with fresh, highly filtered air, while exhausting toxins and allergens which otherwise become trapped in your home all year round. Our ERV units stabilize indoor temperature and humidity better than any other ventilation available using a specialized reusable core material with a third-party recovery rating of 99% ASE. 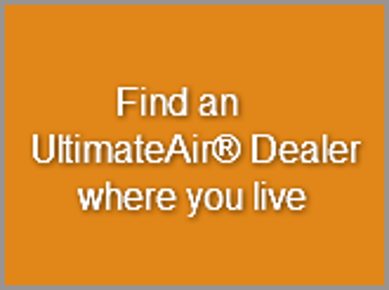 UltimateAir is a family owned business located in Athens, Ohio where all of our quality products are made. Reach out to our team today! Now that you know what an ERV is and why using a fresh air exchange system is so vital, it’s time to take the next step! To learn more about how our energy-efficient ERV systems can improve your home's indoor air quality, contact us today through our short form or get your free quote. We look forward to hearing from you! 200DX Product Comparison By UltimateAir,Inc.